In conjunction with the Fertile Crescent: Gender, Art, and Society project initiated by the Rutgers Institute for Women and Art, Signs presents a special virtual issue addressing the complexity of women’s lives, livelihoods, and circumstances in North Africa, the Middle East, and their diasporas. Drawn from essays published in the journal over the past two decades, this wide-ranging, interdisciplinary collection explores political engagement and protest; sexuality, marriage, and family life; Islamicization and secularism; the politics of resistance in public and private spheres; cultural production and translation; migration and diaspora; labor and class within and across nations; agency and identity; and conflict and postconflict situations. As a compendium of sophisticated feminist scholarship on the Middle East, North Africa, and their diasporas, the issue is a vital teaching tool and scholarly resource. 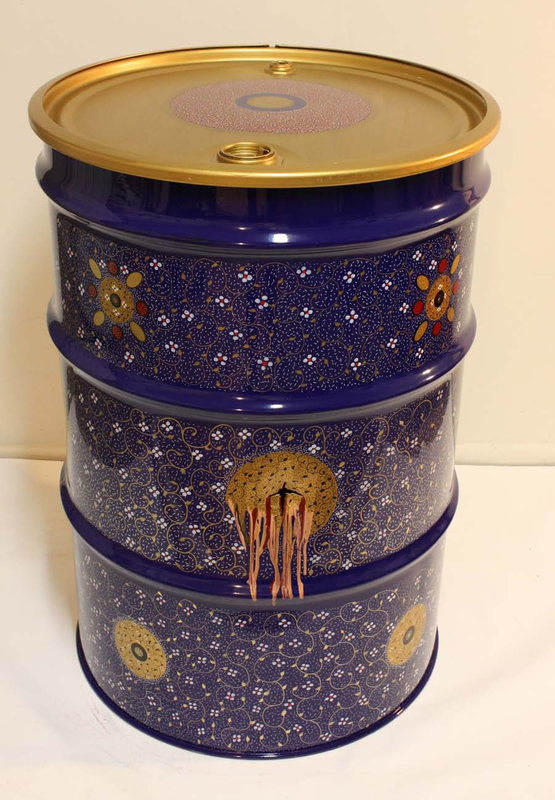 To view full-sized images in a lightbox, click on the image. Full artwork accompanied by artist statements and biographies is available for all participating artists by clicking the artists’ names. All work is copyrighted and may not be reproduced without permission. 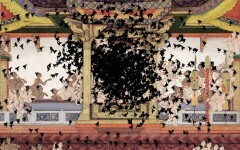 Shahzia Sikander, still from SpiNN (2003). Video animation. Courtesy of the artist. 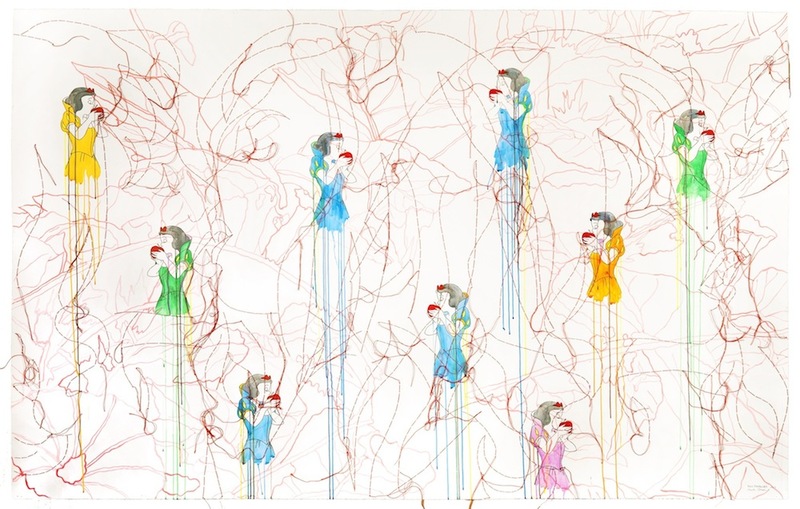 Reza Farkhondeh and Ghada Amer, Apples and Petunias (2011). 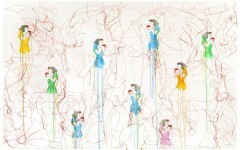 Watercolor and embroidery on paper, 51.5 x 82.5 inches. Courtesy Cheim & Read, New York. 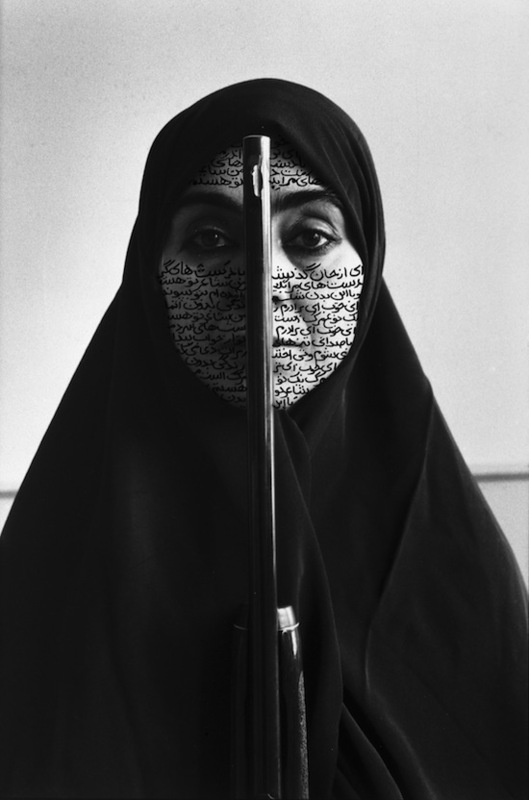 Shirin Neshat, Rebellious Silence (1994). B&W RC print & ink (photo by Cynthia Preston). 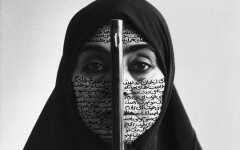 © Shirin Neshat. Courtesy Gladstone Gallery, New York and Brussels. 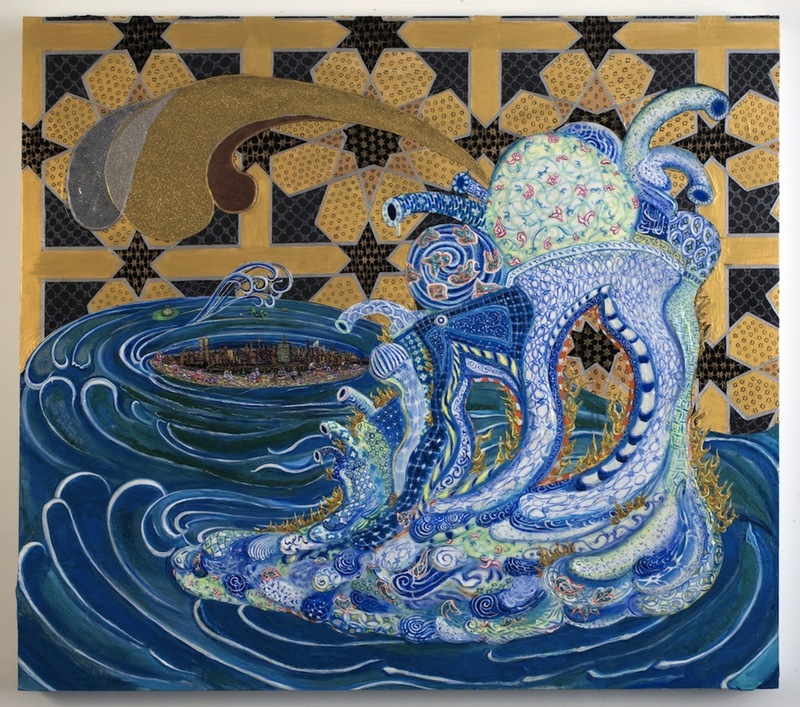 Negar Ahkami, The Source (2009). Acrylic and glitter on gessoed panel, 48 × 54 in. © Negar Ahkami. Courtesy of Jasanna and John Britton and the artist. Photo by Adam Reich. 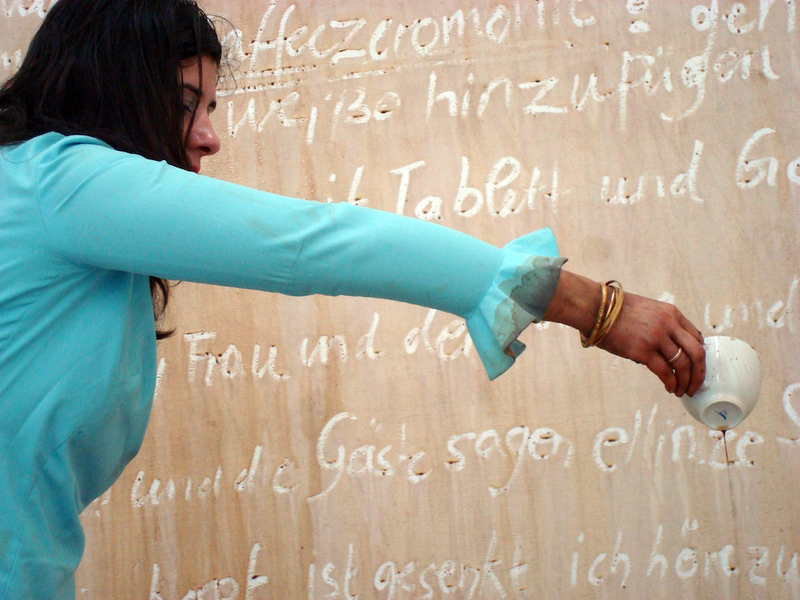 Nezaket Ekici, still from performance Lifting a Secret (2009), Claire Oliver Gallery, New York. 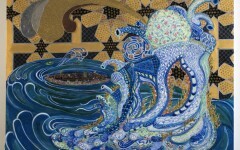 Courtesy of Claire Oliver Gallery, New York, and the artist. 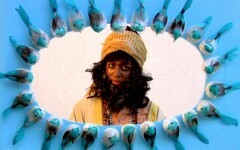 Fatima Al Qadiri and Khalid Al Gharaballi, stills from Mendeel Um A7mad (NxIxSxM) (2012). HD video, 15:28 minutes. Courtesy of the artists. 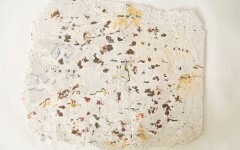 Ariane Littman, Shredded Land (2011), from the Wounded Land series (2009-12). 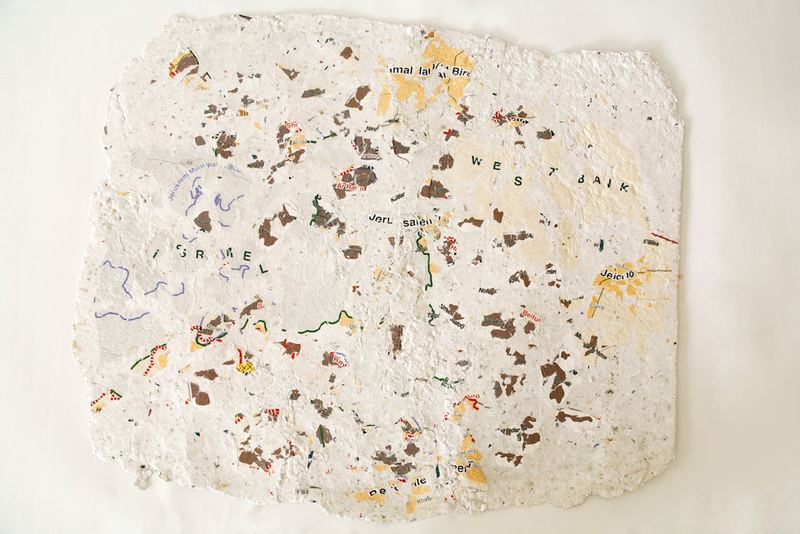 Papier mache made from Closures Maps of the West Bank & Jerusalem (July 2004), 64 × 55 cm. Photo by Udi Katzman. Courtesy of the artist. 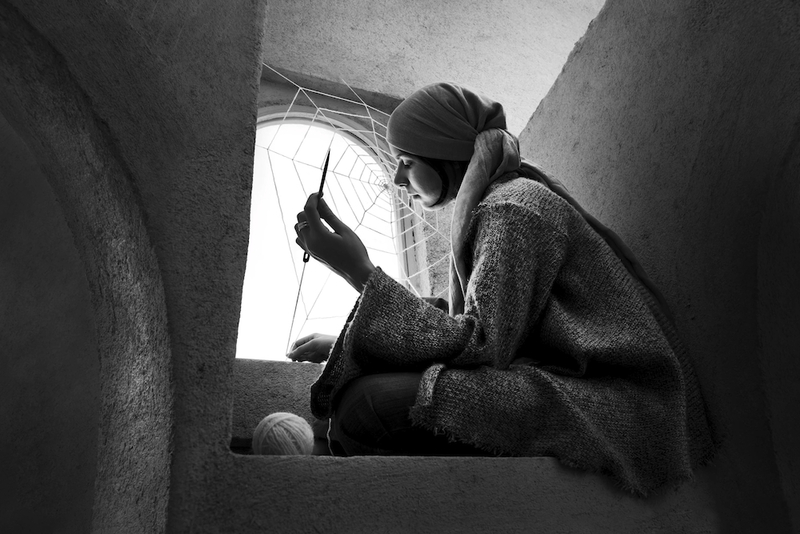 Shadi Ghadirian, from the series Miss Butterfly (2011). Fifteen photographs, each 27 ½ x 39 3/8 in. Courtesy of the artist. 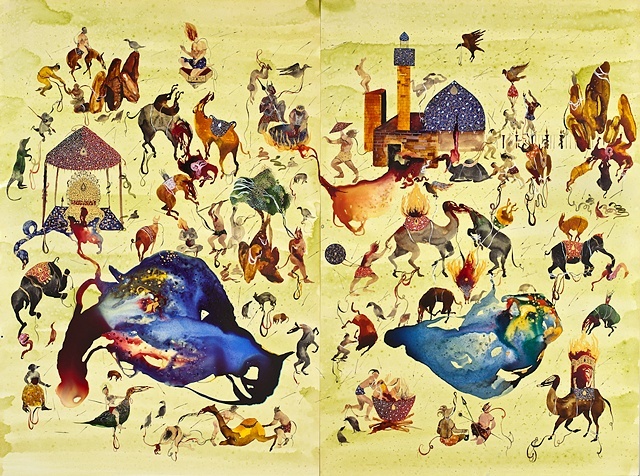 Shiva Ahmadi, Hades (2011). Mixed media, 80 x 60 in. 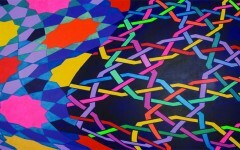 Courtesy of Leila Heller Gallery, New York. 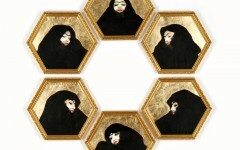 Monira Al Qadiri, stills from Wa Waila (Oh Torment) (2008). Short film, 10:04 minutes. Courtesy of the artist. 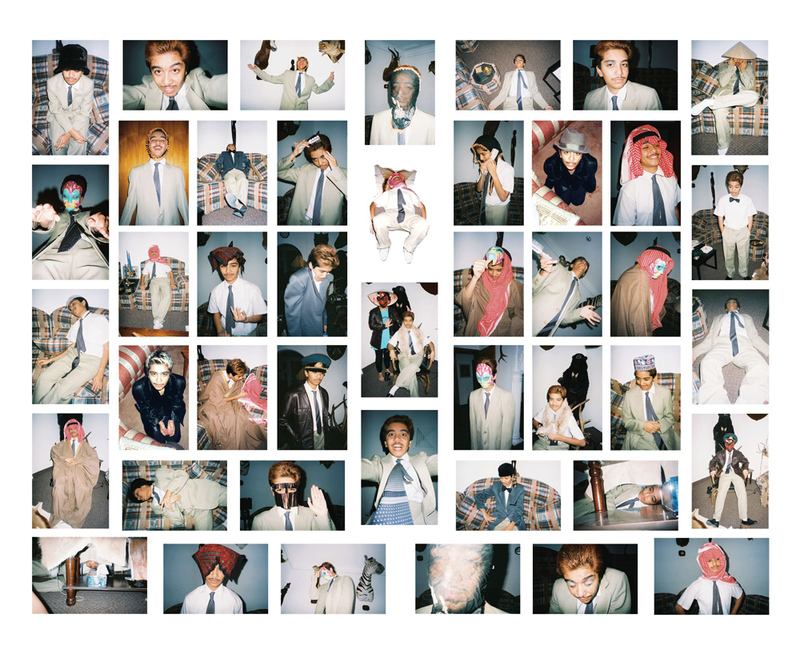 Monira Al Qadiri, The Tragedy of Self (Series 3; 2009, 2012). 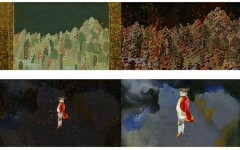 Photographs with paint and gold leaf on canvas, 47.5 × 51.5 in. Courtesy of the artist. 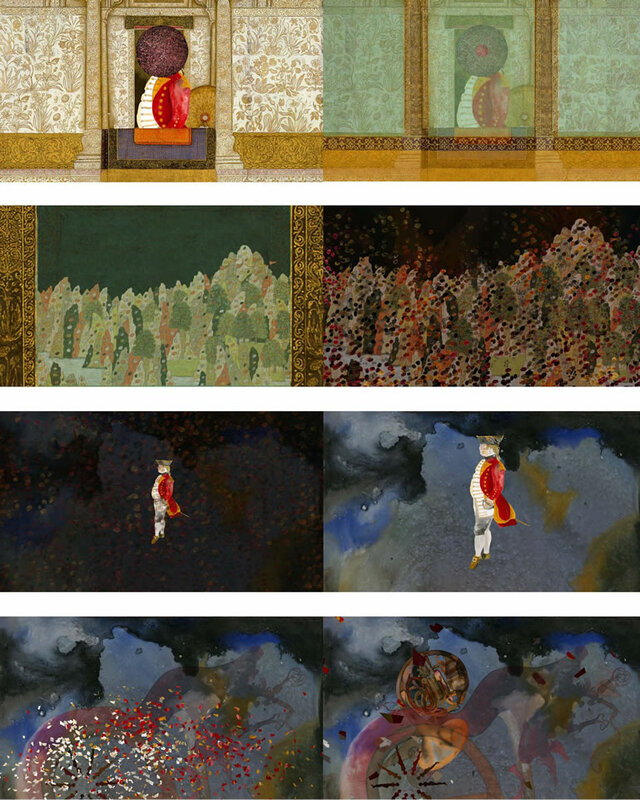 Shahzia Sikander, stills from The Last Post (2010). HD video animation, 10 minutes. Courtesy of the artist. 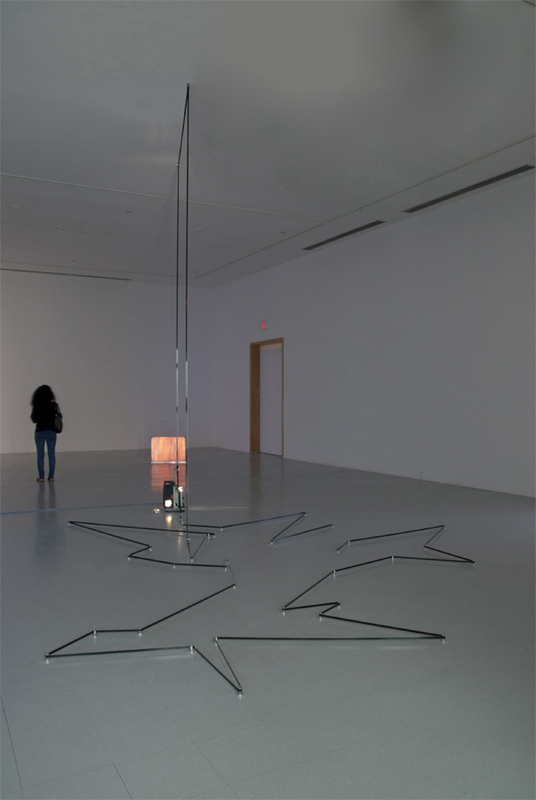 Zeina Barakeh, still from Scenarios of Return (2012), chapter 2 of And Then . . ., (2008-present). Video animation. Courtesy of the artist. 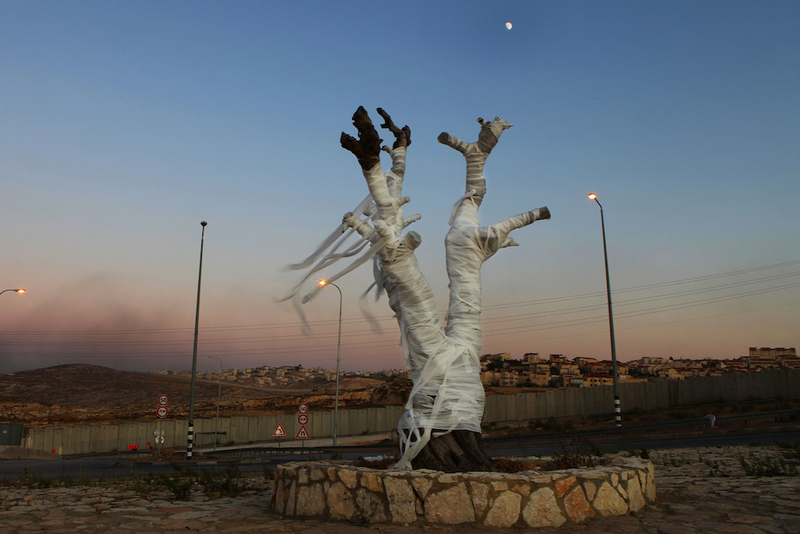 Ariane Littman, still from The Olive Tree (2011). 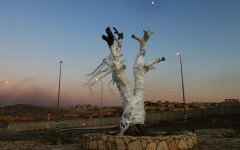 Video recording of performance at the Hizma checkpoint, Jerusalem. Photo by Rina Castelnuevo. Courtesy of the artist. Fatima Al Qadiri, Bored (1997). Digital print, 64 5/8 × 78 3/4 in. Courtesy of the artist. 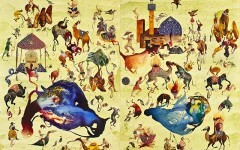 Parastou Forouhar, Ashura Butterfly (2010), from the seven-part series Butterfly. 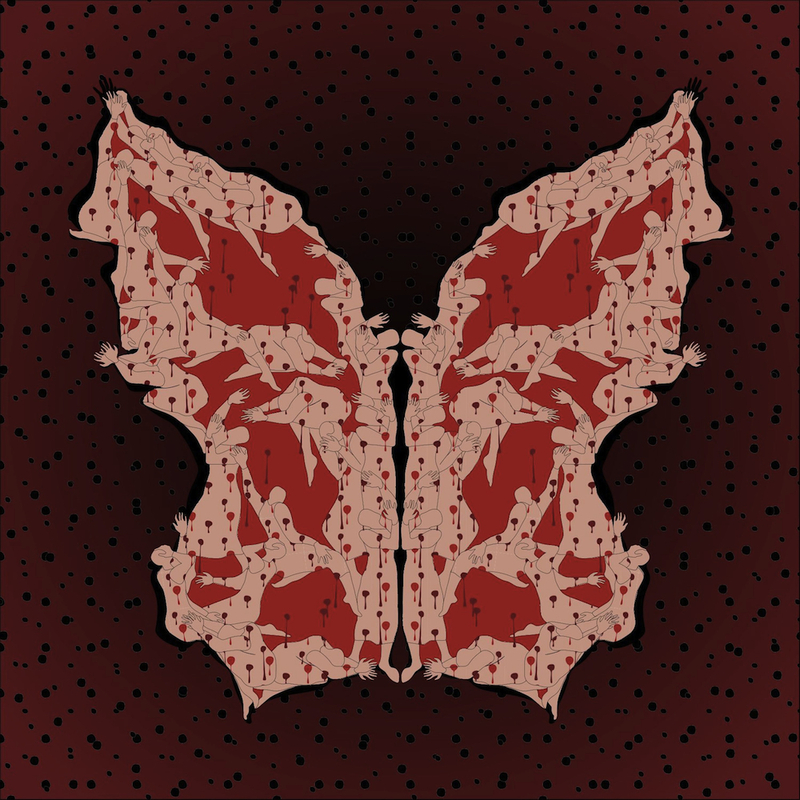 Digital print on photo paper, 39 3/8 × 39 3/8 in. Courtesy of the RH Gallery, New York, and the artist. 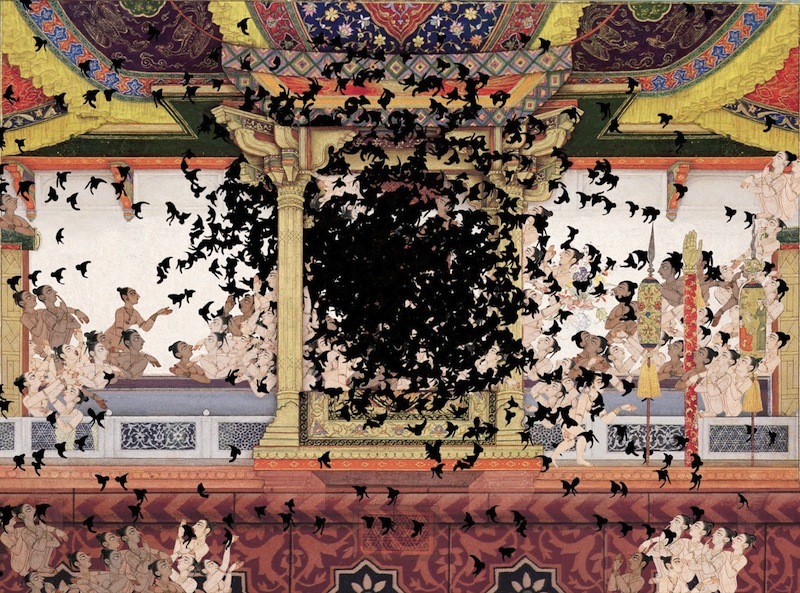 Laila Shawa, Night and the City (2008). 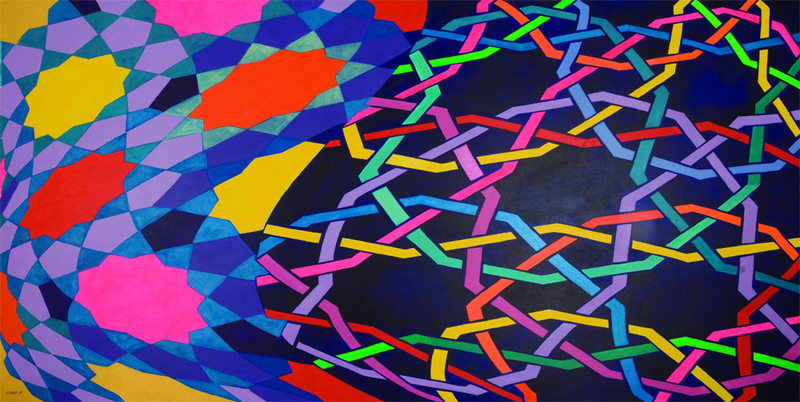 Acrylic on canvas, 39 3/8 x 78 3/4 in. Photo by Joanna Vestey. Courtesy of the artist. 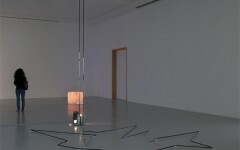 Ebru Özseçen, Şerbet (1999-2010), installation view, Mason Gross Galleries, Rutgers University (2012). 16 mm film installation. Photo by Dot Paolo. Courtesy of the Rutgers Institute for Women and Art and the artist. 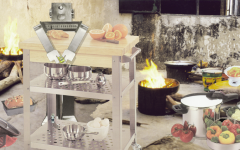 Fatimah Tuggar, detail, Robo Makes Dinner (2000). 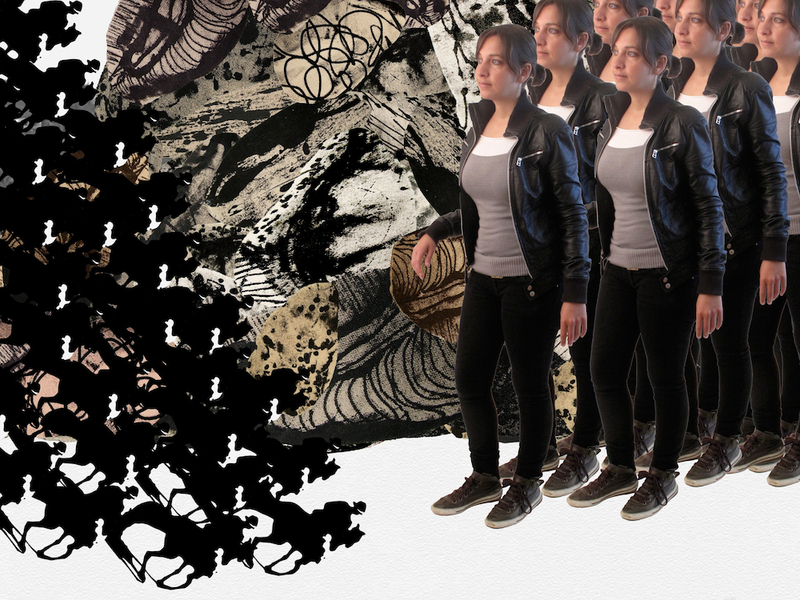 Computer montage (inkjet on vinyl), 108 × 45 in. Courtesy of BintaZarah Studios, New York. 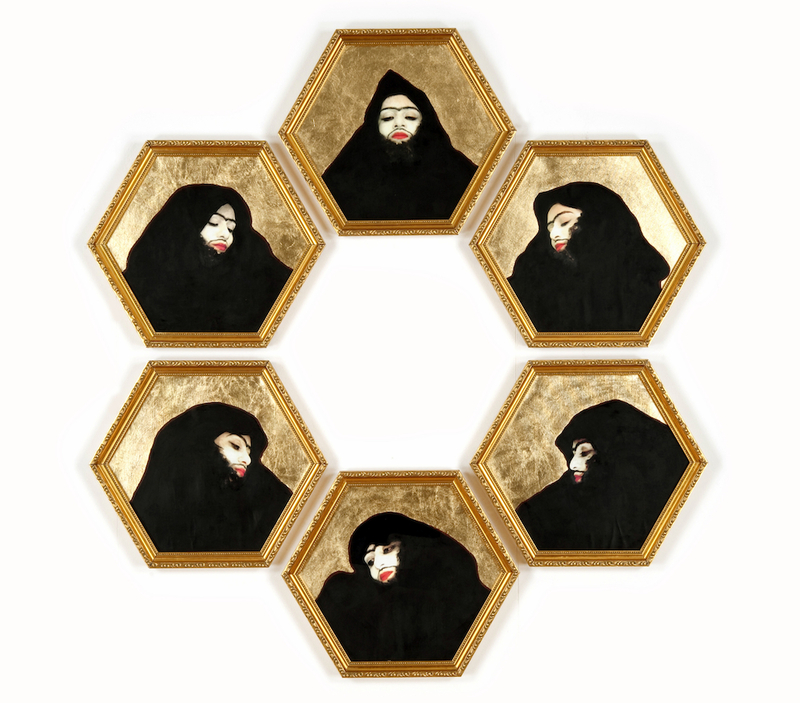 Shiva Ahmadi, Oil Barrel #9 (2009). Oil on steel, 34 1/2 x 23 1/2 x 23 1/2 in. 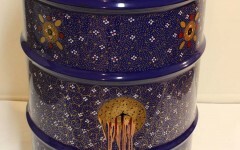 Collection of Howard and Maryam Newman, courtesy of the Leila Heller Gallery, New York, and the artist. Acknowledgements: Thanks to the Rutgers Institute for Women and Art, including Ferris Olin and Judy Brodsky, for their guidance in selecting the images, and to Leigh-Anya Passamano for her invaluable help in liasing with artists and procuring images. And of course, thanks to all the artists and galleries who so generously shared their work with us and allowed us the privilege of presenting it here.